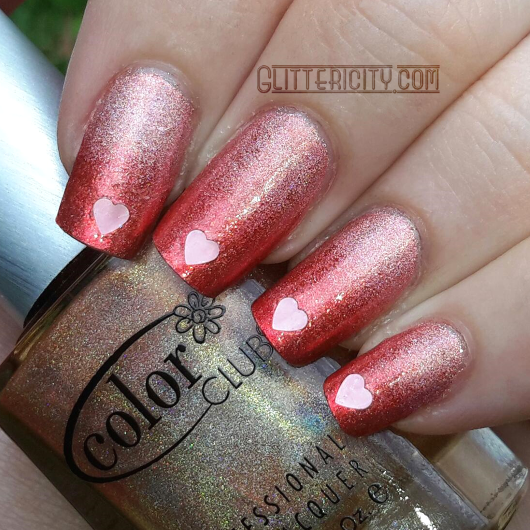 So, I'm like three days late on this, but... here are my Valentine's Day nails for this year! I'm actually kind of sad about these! I used two holo polishes, but it decided to be rainy and grey when I was taking the photos, so I didn't get to show off their brilliance. However, I do like the pretty colours. I used Color Club Cosmic Fate, the bottle shown here, which is actually their peachy-orange Halo Hue. The red is one I made myself--LA Colors Aztec Orange (it is not orange) with a pinch of SpectraFlair added. I like how it made the other shade look more pink somehow. I swear it really is the one in the bottle pictured! 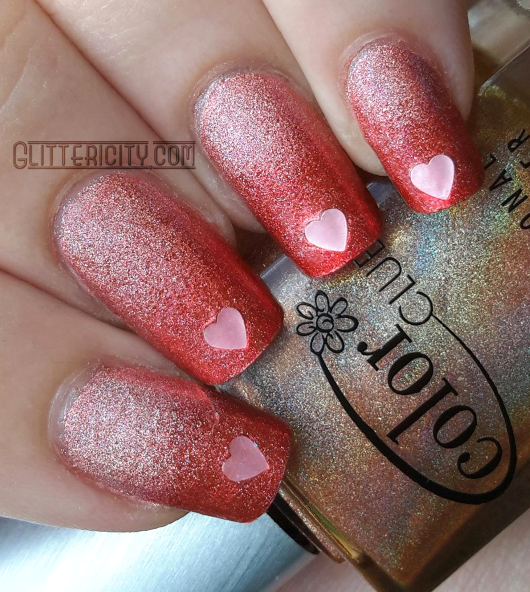 The heart glitters are from a Nicole by OPI polish called Love Your Life, and I pretty much ever only use it around this time of year, haha. Topped with Seche Vite, of course. 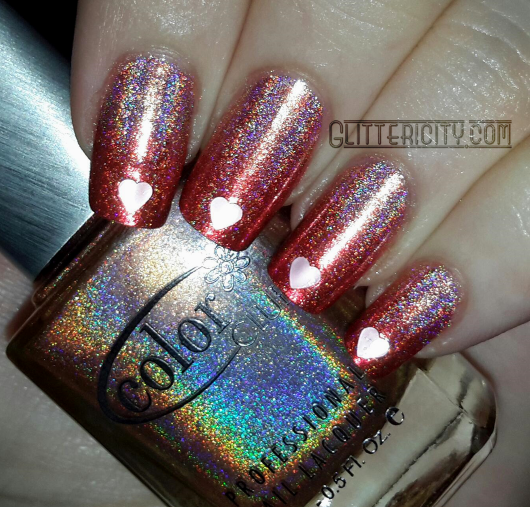 It's a shame I didn't get to show off the holo to its fullest extent--it was lovely!--but, dat gradient. The red one is just a wee bit sheer, enough to make a beautiful, seamless blend.